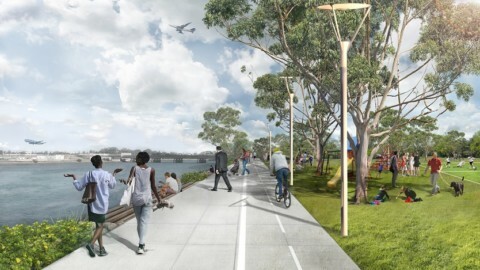 Robotics and automation are well placed to help Australia’s infrastructure industry overcome future challenges, as foreshadowed in Australia’s first Robotics Roadmap, pioneered by the world-leading Australian Centre for Robotic Vision. The sector is experiencing some real and pressing challenges. Among these are an expected 50 per cent population spike over the next three decades alongside an aging population; increasingly expensive housing and shortage of social housing; urban sprawl; heightened congestion; changing climate; and security risks. The good news is that robotic technology – dependent, of course, on the swift development of a national investment strategy – can provide a cost-effective and safe means to build, manage, maintain and decommission infrastructure, especially in remote areas. Automation is predicted to deliver Australia a $2.2 trillion dividend over the next 15 years if businesses, including those in the infrastructure industry, accelerate their uptake of new technologies such as robotics. 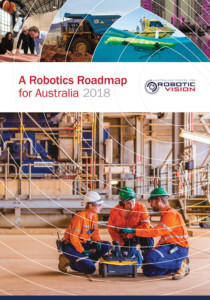 Released on 18 June 2018, the Robotics Roadmap is critical to unlocking Australia’s potential – building national wealth, well-being and sustainability – in the face of the nation’s current ranking of 18th for global automation by the International Federation of Robotics. Australia has a talented pool of robotics leaders and researchers. The opportunity is ripe to take a collaborative, multi-sector approach to education, funding and legislation to benefit industries and lead the way in the development of robotic technology that can solve real global challenges. Vision systems on heavy machinery can help to protect nearby workers. 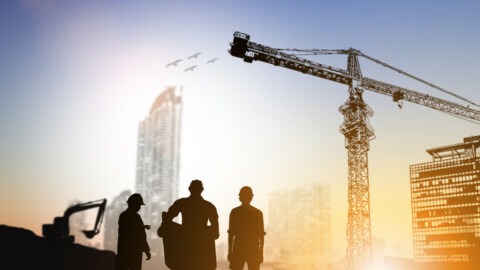 In the infrastructure industry, the sheer scale of projects means that even a small improvement in efficiency can lead to substantial cost savings. What’s more, the automation of heavy machinery has the potential to bolster not only efficiency but also safety in construction operations involving complex tasks in a range of unstructured environments. That said, despite a strong safety culture, the industry remains dogged by risk, mirrored in 401 construction site fatalities in the 10 years prior to 2013, and an estimated 35 Australian construction workers seriously injured every day. Robotic technologies have the potential to reduce injury and fatality rates, while increasing productivity in harsh, geographically large and perpetually changing environments. Construction sites are busy places. Many contractors work in close proximity to heavy vehicles and where heavy lifting occurs. In this environment, consultation, cooperation and coordination are essential to ensure the health and safety of everyone on-site. Typical robot technologies, such as motion control, navigation and computer vision, are increasingly integrated in previously manned heavy lifting platforms such as cranes. Advances in technology will see robotics tackling increasingly complex physical and cognitive tasks. There will also be a strong industry need for regulation technology (RegTech), robotic and vision systems that can be deployed to monitor and enforce worker safety, and identify and ameliorate potential hazards. Robotics and automation can help remedy ongoing skills shortages in the infrastructure industry; a hangover of jobs vacated by an aging workforce and reluctance among younger generations to pursue traditional occupations. Ironically, 40 years ago, robots were viewed as the solution to labour shortages in construction. In reality, the diffusion of such technology has been low. Unlike the manufacturing sector, infrastructure projects are often unstructured, cluttered, variable and congested, making them difficult environments for robots to operate in. The advent of new technologies allowing customisation, rapid take up of additive manufacturing processes, networked manufacturing equipment and increasing data integration, means that robotics is beginning to be adopted in infrastructure. Typical processes that can be automated include materials handling, materials shaping (cutting, breaking, compacting, bricklaying, machining) and structural design. 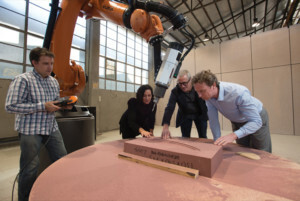 Furthermore, robotics is increasingly seen as an enabler for architectural design, allowing custom, one-of-a-kind, sometimes additive buildup of complex structures. 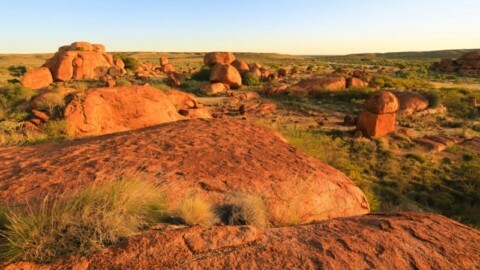 Despite the decline in resource-related construction, a large number of major infrastructure projects have still been committed to, or are under construction in areas where the resources sector dominates, such as northern Australia. Due to their remote location, these projects present unique challenges in transport of materials, supply of labour and communications. All areas in which robotic technologies can play a vital role. 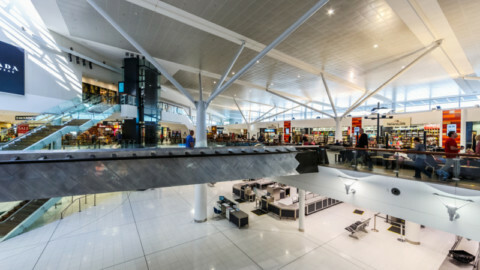 There is also tremendous potential for application of these technologies in the inspection and maintenance of Australia’s extensive network of existing infrastructure, covering on/above ground structures, below ground structures and underwater structures. Infrastructure like buildings, roads, bridges, power/communication towers, wind turbine blades, solar power assets and ports can be inspected cost effectively using unmanned aerial vehicles (UAVs) and remotely operated aircraft systems with a suite of sensors including cameras. These platforms are increasingly becoming robust, stable and efficient; showing extended longevity with inherent larger payload handling capacities. Basic inspection using CCTV technology has been in the market for many years, while biologically-inspired robots, capable of climbing complex tower structures, are being developed to carry out hectic and unsafe inspections. Robots operating in constrained, undesirable environments such as inspection of bridge arches and girders are being developed and deployed. For example, complex inspection of Sydney Harbour Bridge’s arches is now a reality using biologically-inspired inchworm robots. Autonomous grit blasting robots, Sandy and Rosy, have been removing the paint off Sydney Harbour Bridge since 2013. 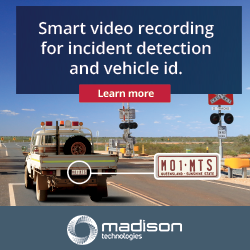 Roads and railroads are expected to be inspected through highly efficient and accurate automated technologies for detecting defects, such as quality of lane markings, cracks and potholes, through multimodal data fusion methods. They are expected to be repaired by highly automated processes. Smart roads conceptualise the built-in intelligence to the infrastructure by embedding cameras, automatic toll readers and other sensors to effectively manage traffic gridlocks, parking, on-demand and multimodal transport, response to incidents and other related issues while improving safety, efficiency and cost. The information made available to autonomous vehicles can improve the situational awareness to a greater extent, leading to efficient journey planning and advanced navigation capabilities in crowded urban roads. 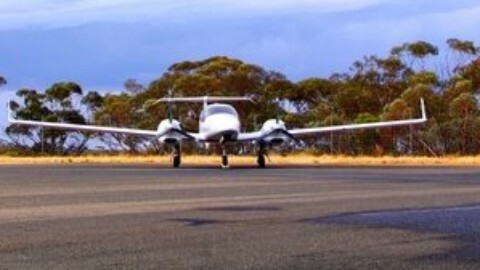 The Australian Government is already trialling ‘vehicle to vehicle’ and ‘vehicle to infrastructure’ communication systems as part of the cooperative intelligent transport initiative. Sensing and vision systems are already heavily used in building information and inspection systems. Smart buildings with embedded sensors can efficiently control the building management systems to reduce waste while improving the quality of life. Building inspection systems with unmanned aerial vehicles (UAVs) and climbing robots can reach difficult to access areas with ease, avoiding workplace health and safety issues associated with human operators. 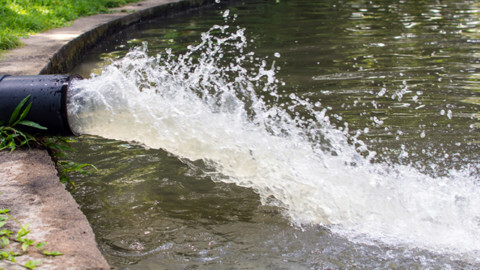 Infrastructure such as oil/water/wastewater pipes; large diameter tunnels; long-haul stretches; inverts; crowns; culverts; and manholes are difficult to access and may have other challenges such as presence of debris, highly corrosive chemicals and pressurised water/oil. Robotic platforms are increasingly able to navigate such harsh environments over extended time periods, producing CCTV, 3D reconstructions and defect profiling with ground penetrating radars, laser sensors and sonars. They can somewhat adapt to pipes with different sizes, shapes and materials to accurately estimate the remaining ‘intact’ material for end-of-life estimations. Furthermore, they are capable of preventative maintenance in terms of laying different types of liners and coatings. The sensing and robotic aspects of liners and coatings are further investigated in the recently announced multinational 31-member partnership with CRC-P on smart linings for pipes and infrastructure. 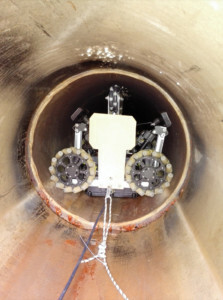 A variety of robotic platforms are used for monitoring underwater structures, which include unmanned underwater vehicles (UUV), unmanned surface vehicles (USV), remotely operated vehicles (ROV) and submarines. They have cameras, acoustic and other sensors for inspection of oil and gas pipes, ship hulls, underwater pylons, dams and ocean beds. The robotics and vision systems are not only expected to carry out inspections, but also frequently used to carry out cleaning, paint/corrosion removal, repairing (welding) and deep-sea operations. Over the next decade, intelligent robotic technologies will have a significant impact on transforming smart infrastructure, inspection and maintenance. However, these transformations are wrought with challenges: technical and non-technical. 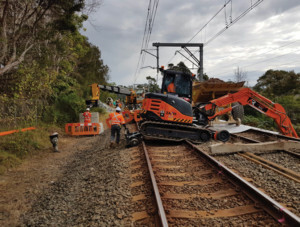 As identified in the Australian infrastructure plan, Australia has a large infrastructure maintenance backlog, specifically in public owned/operated assets. There is definitely a gap in technology dealing with effective and efficient inspection and maintenance. Inspection needs robust sensing modalities including vision and deployment strategies such as robotics. Maintenance requires sensing and robots as well as the manipulation and actuation capability. The technologies need to be safe, efficient, robust, easy to use and low cost to operate. There is also growing public expectation that infrastructure (such as access to water and the Internet) will function at peak levels at all times, regardless of challenges created by extreme weather events or natural disasters. The bottom line is that advanced robotic technologies are necessary to ensure both our high standard of living, and the success and prosperity of all sectors of the economy reliant on essential infrastructure. Quite simply, robotics, as a transformative technology, can revolutionise Australia’s economy in construction and resource sectors, leading to a new era of smart resource and infrastructure management, positioning Australia’s global competitiveness in this area. The missing link holding our nation back is in the knowledge and integration space. 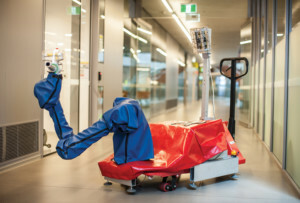 The Australian Centre for Robotic Vision is an ARC Centre of Excellence, funded with $25.6 million over seven years to form the largest collaborative group of its kind, generating internationally impactful science and new technologies that will transform important Australian industries and provide solutions to some of the hard challenges facing Australia and the globe. 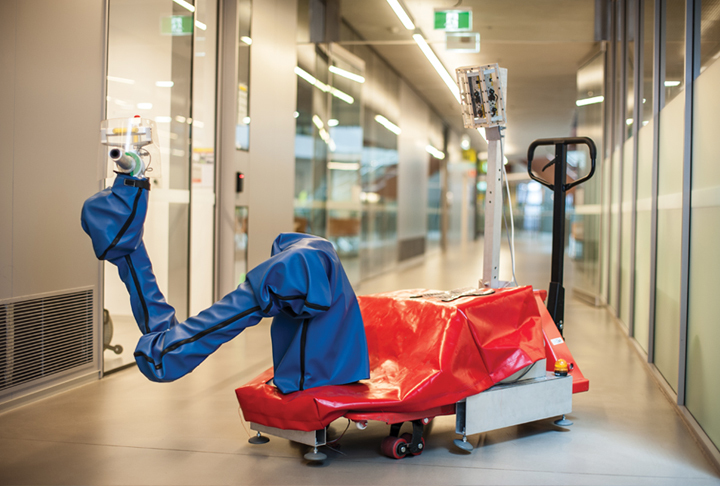 Formed in 2014, the Australian Centre for Robotic Vision is the world’s first research centre’s specialising in robotic vision. A group of researchers on a mission to develop new robotic vision technologies to expand the capabilities of robots. The center’s work will give robots the ability to see and understand for the sustainable well-being of all people and the environments we live in. The Australian Centre for Robotic Vision has assembled an interdisciplinary research team from four leading Australian research universities: QUT, The University of Adelaide (UoA), The Australian National University (ANU), and Monash University, as well as CSIRO’s Data61 and overseas universities and research organisations, including INRIA Rennes Bretagne, Georgia Institute of Technology, Imperial College London, the Swiss Federal Institute of Technology Zurich, University of Toronto and the University of Oxford.